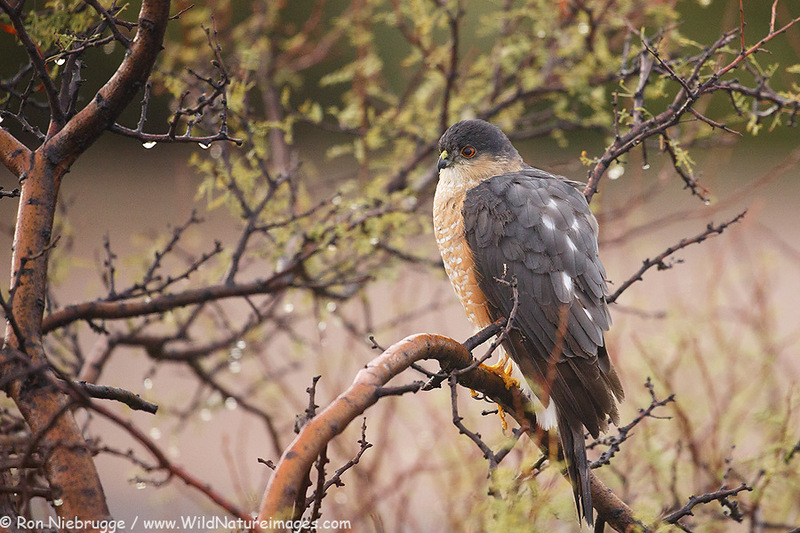 Sharp-shinned Hawk, McDowell Mountain Regional Park, near Phoenix, Arizona. Nothing would clear the birds out of our campsite faster than the arrival of this beautiful bird! Now I’m 95% sure on the id. If it was Alaska, I could be nearly 100% since we don’t have Cooper’s Hawks up here. It would be interested in knowing if the id is right. Another cool bird from our camp as we prepare to fly back to Alaska! 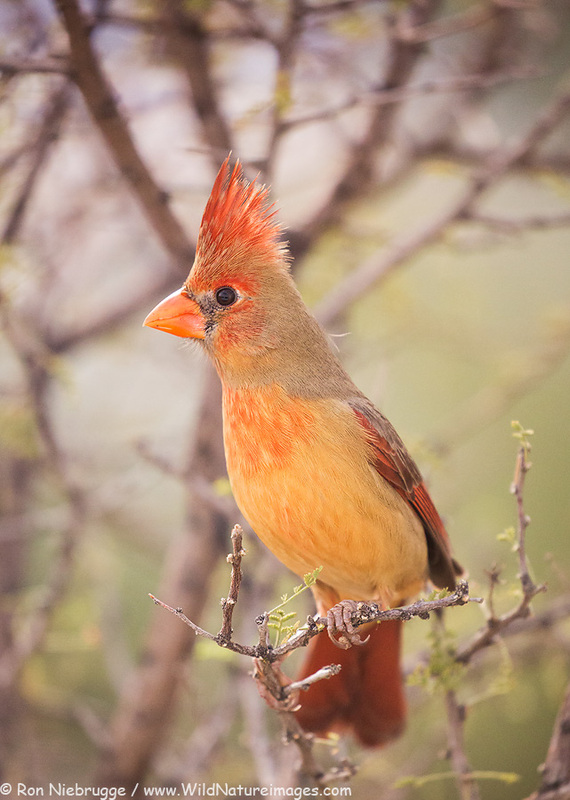 The Bright red males get all the attention, but the female Northern Cardinal is also a beautiful bird. 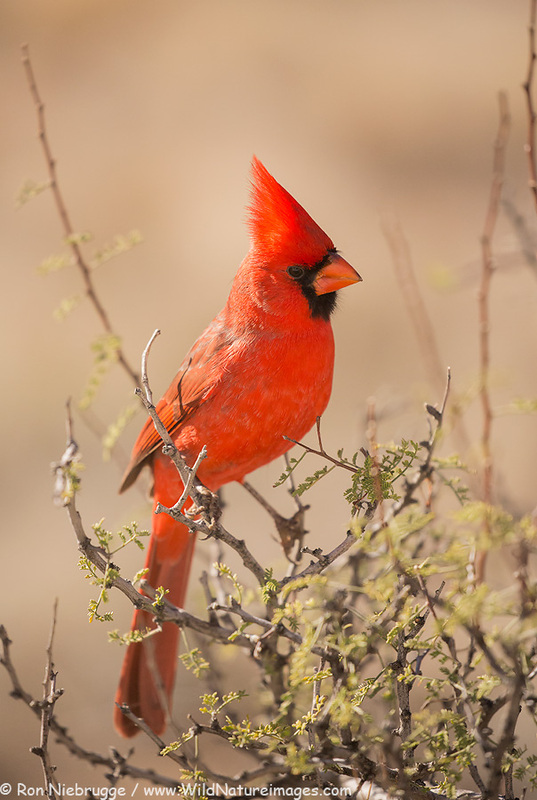 Northern Cardinal, McDowell Mountain Regional Park, Arizona. I was finally able to capture a decent image of a male Northern Cardinal Sunday morning. These bright red guys sure look out of place in the monochromatic desert. Wildflowers from March, 2010, one of the last years for wildflowers, Tonto National Forest, near Phoenix, Arizona. Well that two weeks at home sure went fast! We are now in Arizona picking up our RV then will head to Anza-Borrego. We picked an expensive time to pass through Phoenix with a big golf tournament and even bigger football game taking place in the area this week. It has rained off and on through out the first evening adding more rain to what has been a decent year for precipitation. 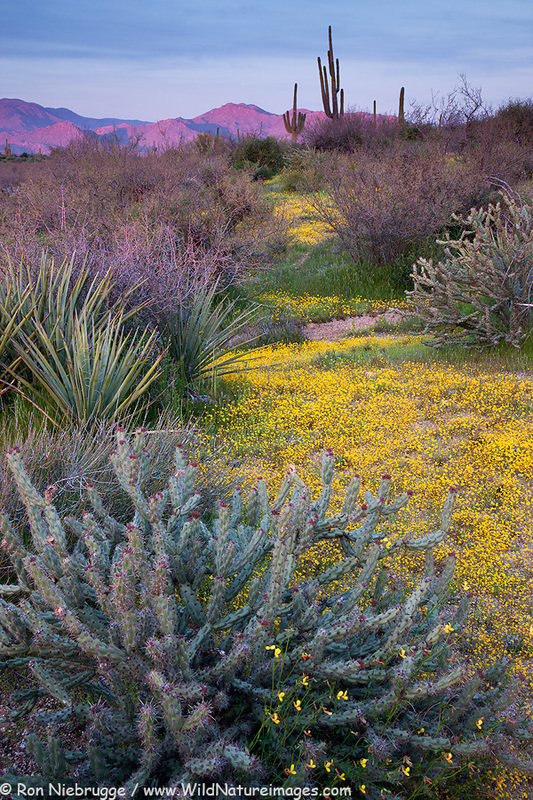 It has been a few years since we have had decent desert wildflowers, maybe this year will better. More rain is in the forecast for the end of the week. This is going to be a busy stretch of travel. After 5 week in the desert, I’m home for 3 days before heading to the Arctic for a Northern Lights photo tour. 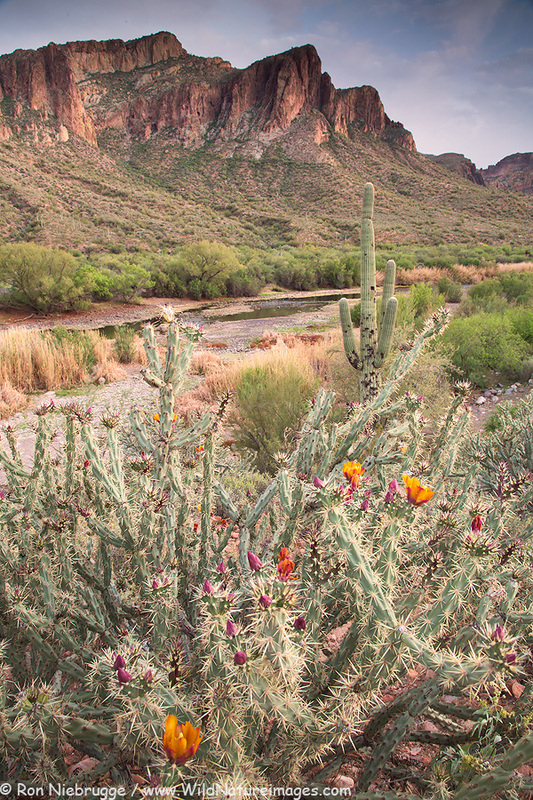 Salt River, Tonto National Forest, Arizona. With clouds, and even some rain coming through Arizona last week, I really thought I was set up for a great sunset. Well the sunset didn’t materialize, but this is still a pretty spot. 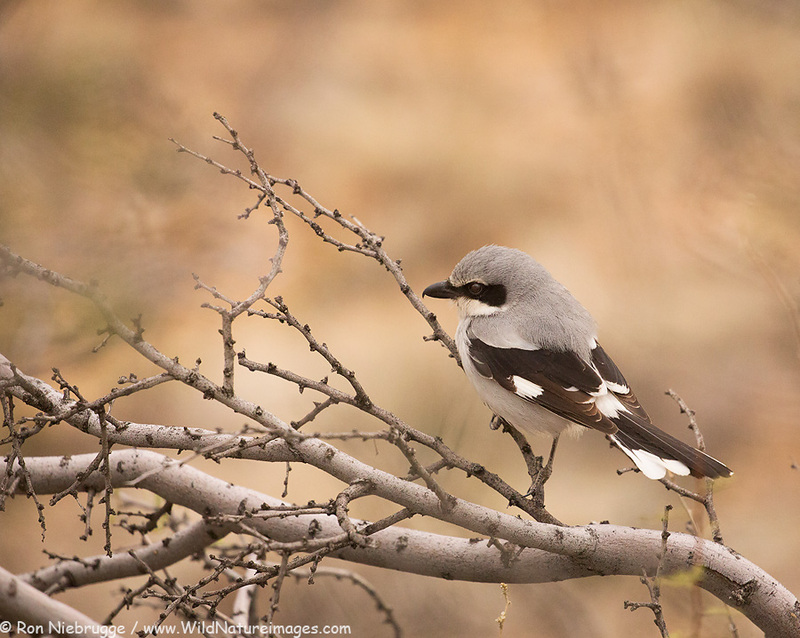 I recently offered a nature photography workshop through another marketing channel, and wanted to give my followers here on the blog the same opportunity in case anyone is in the Phoenix area in late May. 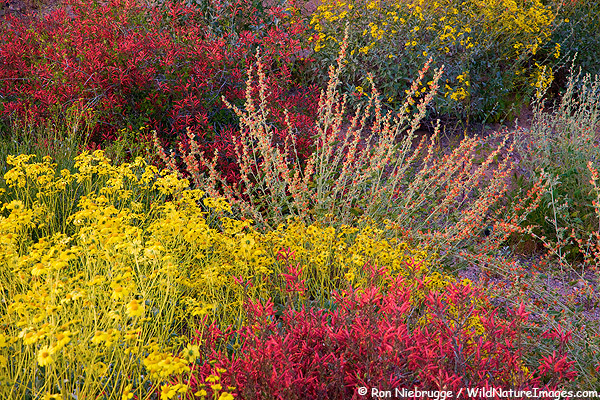 In short, I will be doing a three hour instructional class at the beautiful Desert Botanical Gardens in Phoenix, Arizona, followed by a two hour photo walk in the gardens where you can immediately practice what I taught. The seminar, photo walk, admission to the Desert Botanical Gardens and parking can all be purchased for only $69 right now which is the same great deal, one time price, I offered through the marketing channel. Right now there are 40 people signed up, but we have room for a few more. If you would like more information, or would like to sign up, then check out this page: Phoenix Nature Photography Seminar. 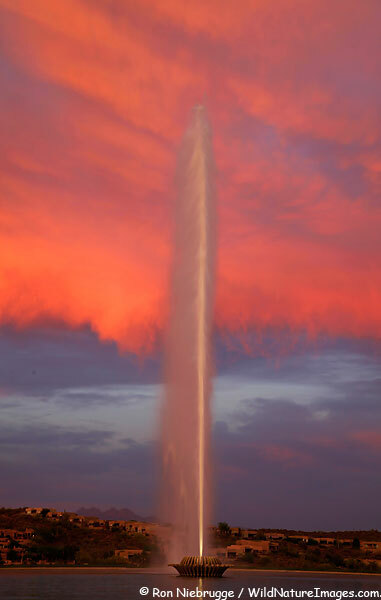 The world's largest fountain, Fountain Hills, Arizona. We are back in Arizona packing up gear and shipping it back to Alaska for our return home. It has been a great trip, but it will be nice to be home. I knew before I returned to Fountain Hills that sunset and the fountain would correspond this time of year. When I saw clouds staring to form last night I knew I would have near perfect conditions.